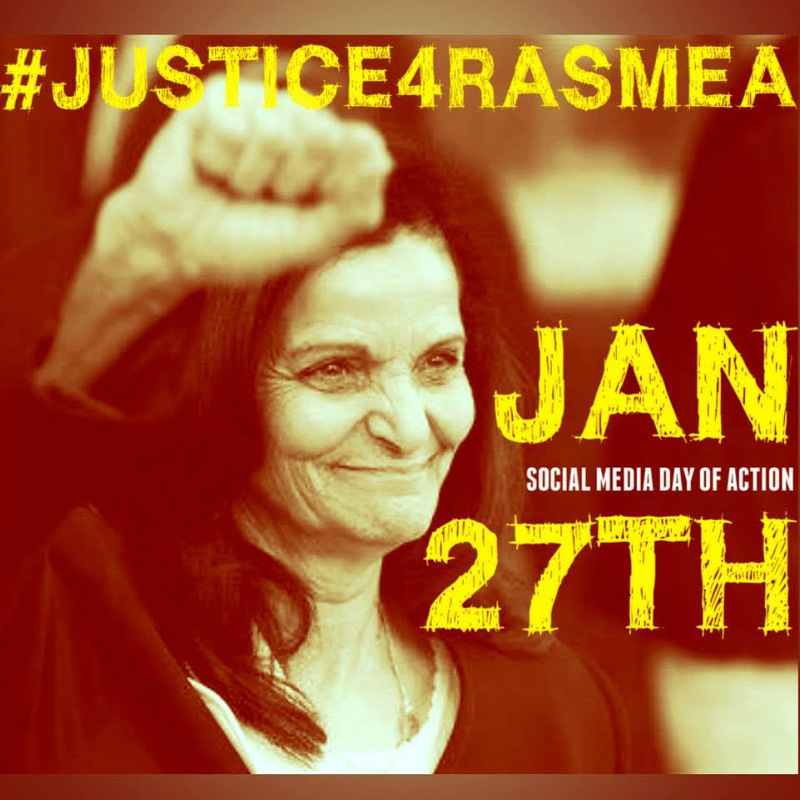 Help us spread the word about Rasmea on every social media platform you’re on! Twitter: Follow @Justice4Rasmea, re-tweet our messages, and tweet your own (based on our resource guide) throughout the day. Visit http://justice4rasmea.tumblr.com/ for images and text that you can share. Make sure to include the #Justice4Rasmea hashtag. Go to www.justice4rasmea.org for more information. Although we are confident that we will win the appeal and have the conviction overturned, there is a chance—as we reported right before the end of 2015—that the appellate court will uphold the conviction, ruling in favor of the government. If that happens, it is very likely that Rasmea will be ordered to turn herself in to federal prison authorities, while we petition to keep her out on bail. If the decision comes down AFTER 12 NOON, we are calling for protests the NEXT DAY at 5 PM. Allies and supporters across the world will also be participating in the emergency response by protesting at U.S. consulates and embassies everywhere.